More Productive and Successful Lives? Become a Red Lotus Letter Affiliate. When you work with Red Lotus Letter as an affiliate, you can make a percentage of the sales that you personally refer. When you join our free affiliate program, we’ll pay you 50% on every NEW product sale you refer. You’ll receive a referral, or affiliate, fee for each person who buys through your link that you promote on your website, through email or on Facebook, for example. What is the affiliate payment rate? We offer 50% affiliate payments on select products, such as digital products (ebooks, downloadable reports). We do not offer affiliate payments on physical products such as those in the Shopredlotus.com and that require shipping to a physical address. We also offer affiliate payments for courses and conferences and those rates are set individually and are dependent on the cost of the course. 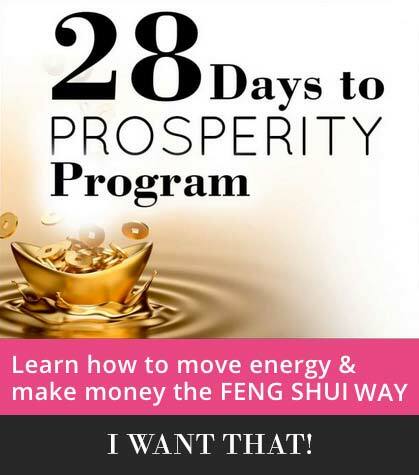 Maybe the best part of being a Red Lotus Letter affiliate is that you’ll also be helping lots of people become happier, more successful in their lives with the feng shui information and digital products that we offer. An affiliate or referral program is basically an agreement between a company (Red Lotus Letter) with a product and a person who knows others who could benefit from that product (you). An affiliate program works best when you use the product yourself and can speak truthfully about its value. Why? Because authenticity and truth always shine through – and people know when they’re being sold. 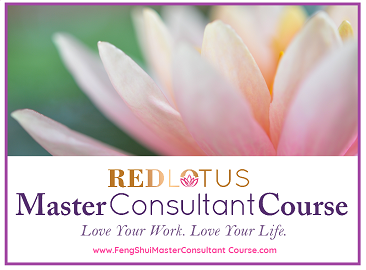 We’d prefer you market Red Lotus Letter from a standpoint of your own experience feng shui! And, basically, once that happens, we both make money by helping others learn about feng shui! Who can be an affiliate? Do not lie or exaggerate. That your contact details are verifiable, complete. That you do not register multiple affiliate names. That you use ethical marketing methods to promote our products. We do NOT condone anyone promoting our products via through mass emailing or through unsolicited emails. This is SPAM and this can get you and us into trouble with the Federal Communications Commission, and no one needs that. We request that you never promote us or our products/websites (Red Lotus Letter ) on any via sites or in connection marketing that contains offensive or inappropriate content, and the we reserve the right to be the final arbiter in this matter. That you do not try to “game” the system in any manner to create higher than approved commissions or any products not explicitly covered in the Red Lotus Letter Affiliate Program. That you do not use your affiliate link yourself to purchase any of our products. Purchasing any product for your own use will result in suspension of your affiliate account and the loss of any and all commissions. When you join the Red Lotus Letter affiliate program, you’ll automatically receive a unique URL web link that you’ll use when you promote Red Lotus Letter. Your unique affiliate ID will be embedded in that link so we’ll be able to tell that the visitor came from you. From this link, we’ll also be able to track and any all referrals you send to Red Lotus Letter.com. We recommend that you use your unique affiliate link every time you refer people to Red Lotus Letter. When someone you refer makes a purchase through your unique link, you get a commission. It’s that simple. We will not apply commissions retroactively to any improperly formatted or broken links. We will not pay affiliate commissions to anyone who was already in our database and who did not originally sign up via your affiliate link, or because you know the person. Commissions are only paid to those who buy via an affiliate link and no other way. Commissions are paid to verifiable affiliates with correct and full contact information. Those who do not provide all their details of a verifiable address, phone number, etc., will not receive any commission payments. We reserve the right to adjust any price on any product. Commissions will only be paid on the price of the product at the current time without exception. Commissions are not paid on cookies and must be paid through a purchase made via your personal affiliate link only. We reserve the right to require affiliates to show marketing campaigns and promotions used to generate commissions. PLEASE NOTE: If the terms of the fine print above are not met, then commissions will not be paid. You must have a PayPal account set up and provide us with your PayPal email address when you register as an affiliate. We will not accept affiliates that do not have a PayPal address. Once your earnings hit a minimum of $50, you’ll be paid through PayPal automatically. For product purchases, affiliate payments will be processed following the 60th day of the order, to account for cancellations, disputes, chargebacks or bad payments. All commissions will be paid in installments to account for cancellations or withdrawals. No commissions will be paid on cancelled or refunded orders. How do I check my account to see what I’ve earned? Once you become a Red Lotus Letter affiliate member, you can login to your account anytime to check your visits and link statistics and your commissions. An email will be sent to you with all your login details. Be sure to save it because it will have the link that you will need to check on your affiliate account as well as your unique affiliate ID and password. What items will I be paid an affiliate commission on? I only offer commissions on downloads, ebooks, and certain classes. I do not offer commissions on physical products that must be shipped, coaching or feng shui consultations. Click the link below and follow the instructions. Afterwards, you’ll be signed up as a Red Lotus Letter affiliate. By doing so, it will be assumed that if you provide us with any personally identifiable information that you have read and understand our privacy policies and accept all the terms and conditions noted on this page. Please read this entire disclaimer notice before using this website, making a purchase on this site, or relying on the content published within it or within any of our products. For privacy information regarding this website please continue reading. If you make a purchase or sign up as an affiliate of K Weber Communications LLC (Red Lotus Letter) we will assume that you have read and understand this disclaimer notice. Every effort has been made to accurately represent our products and services and their possible potential. Any claims made of actual earnings or examples of actual results can be verified upon request. Each individual’s success depends on his or her desire, dedication, marketing background, market place, product, service, effort and motivation to work and follow programs and advice. There is no guarantee you will duplicate any of the results others may have or that you may see being promoted. You recognize any business endeavor has inherent risk for loss of capital. As with any product or service, we know that some customers who may purchase our product may never never use it, and therefore get no results from their purchase whatsoever. Or they may use it incorrectly. Therefore, any customer testimonials or stories we share are those that reflect the results of when Red Lotus Letter is taken properly and that those testimonials can neither represent nor guarantee the current or future experience of other past, current or future Red Lotus Letter customers. Under no circumstances will we be held responsible or liable, directly or indirectly, for any loss or damage that is caused or alleged to have been caused to you in connection with your promotion of Red Lotus Letter and/or our products or services. We are also not responsible or liable for any loss or damage that is caused or alleged to have been caused to our affiliates or customers in connection with the display of their photo, name, or personal story posted on our websites or in our marketing materials. By providing their name and testimonial and any associated photography, they are giving K Weber Communications LLC (Red Lotus Letter) the right to use their likeness in our marketing and promotional materials both online and off. K Weber Communications LLC (Red Lotus Letter) reserves the right to change or update this disclaimer notice, or any other of our policies or practices, at any time without notice. Any changes or updates will be effective immediately upon posting to this website. Under certain circumstances, we may also elect to notify you of changes or updates to our disclaimer notice by additional means, such as posting a notice on the front page of our website to sending you an e-mail. We encourage you to review this disclaimer notice often for changes. K Weber Communications LLC (Red Lotus Letter) works to keep your personal information secure, accurate, complete, and up to date for the purposes for which it is used. As an affiliate or customer you always have the right to access and correct the personal information you have provided. And you can request a copy of your personal information, your product registration history, and your interactions with our sales and support agents by contacting us. While K Weber Communications LLC (Red Lotus Letter) strives to protect the security and integrity of sensitive personal information provided through this website, due to the inherent nature of the internet as an open global communications vehicle, we cannot guarantee that information during transmission through the internet or while stored in our system or otherwise in our care, will be absolutely safe from intrusion by others such as hacking or fraud. K Weber Communications LLC (Red Lotus Letter) has no liability for disclosure of your information due to errors or unauthorized acts of third parties during or after transmission. In the unlikely event that we believe that the security of your personal information in our possession or control may have been compromised, we may seek to notify you of that development. If we have your e-mail address, we may notify you by e-mail, and by having your email address you consent to our use of e-mail as a means of such notification.